Having a new baby is a beautiful time for mother, father, relatives, and friends. The first few weeks are filled with celebration, introductions, and excitement. But the first month is also a time for the mother to recover and the infant to get adjusted to life in a new environment. 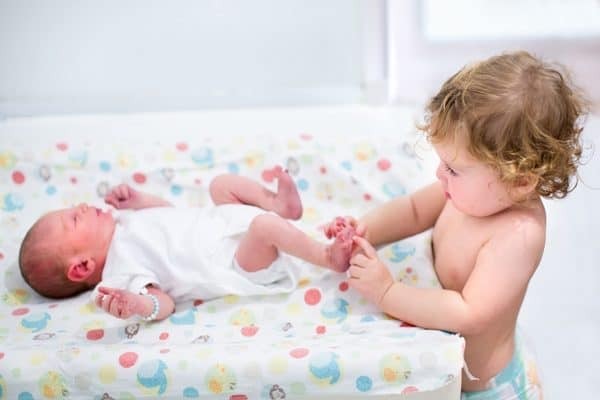 If you are expecting a new baby or have recently welcomed a new baby into the world, you may be having some questions and concerns about what should be expected. We are going to discuss what developmental milestones you should observe and some simple fun activities to do with your newborn during the first month. Typically, newborns will sleep around 16 hours a day. Keep an eye on the clock and make sure that he or she is not sleeping through feedings. If your baby is having trouble sleeping there can be many different reasons why. Your baby could be overstimulated, constipated, hungry, have a dirty nappy, or just needing some mummy time. If you have concerns about your how your baby is sleeping or cannot comfort the baby, then let your health visitor or doctor be aware of your concerns at your next appointment. Your baby may lose a little bit of weight in the first few days out in the world. Normally babies will lose around ten percent of their weight due to excess water. By two weeks old they should be back to their birth weight and will continue to gain weight throughout their development. If you are breastfeeding, you will notice that your baby is somewhat an expert on tracking down your milk. 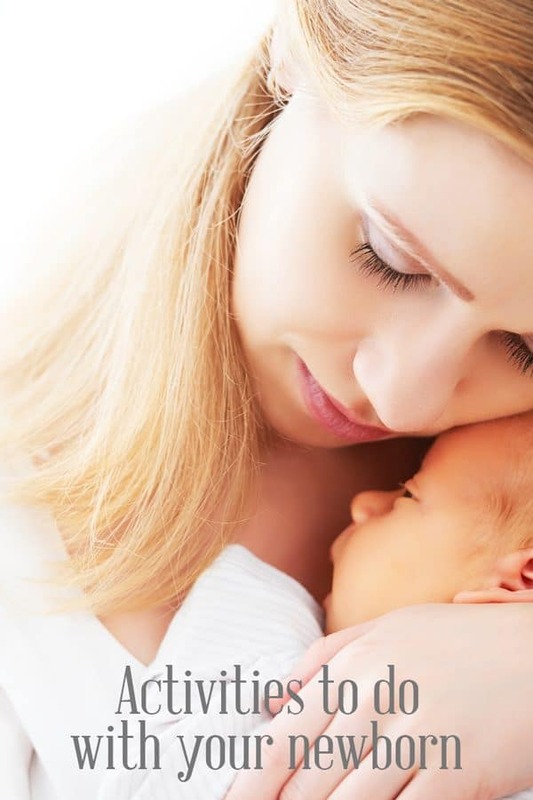 Your baby recognizes the smell of your milk and will move his or her head and mouth towards the scent when hungry. If you don’t breastfeed then the baby will soon learn to recognise you, whether it’s your families washing powder that all members will smell of or your body products the smell is something that develops quickly in the first month. Your baby will also make a sour face when he or she smells something that they do not like. At one-month-old, your baby’s hearing is fully developed. He or she will recognize familiar sounds, such as your voice. Also, though your child will not have a full conversation with you just yet, be sure to talk to your child daily. Use different tones of voice and match those tones with your facial expression. Your baby can focus up to one foot away during the first month. When you are making cute little faces at your lovely bundle of joy, lean in a little closer so he or she can observe your face and expression. Your baby is going to try to make connections with their environment regularly, so move slowly, pronounce your words so he or she can see your lips moving, and smile a lot. Your baby will not be running around anytime soon, but every milestone is going to be an essential step towards that day where he or she learns how to walk, climb, and tumble. In the first month, your baby will be able to move his or her head side to side and move their arms and legs. Your baby’s head will need to be supported during this time because the baby will not be able to lift his or her head on their own for a couple of months. At first, your baby will mainly be able to focus on shapes and patterns ideally in black and white so these black and white Pattern Pictures from Adventures in a Box are ideal for use with your newborn. 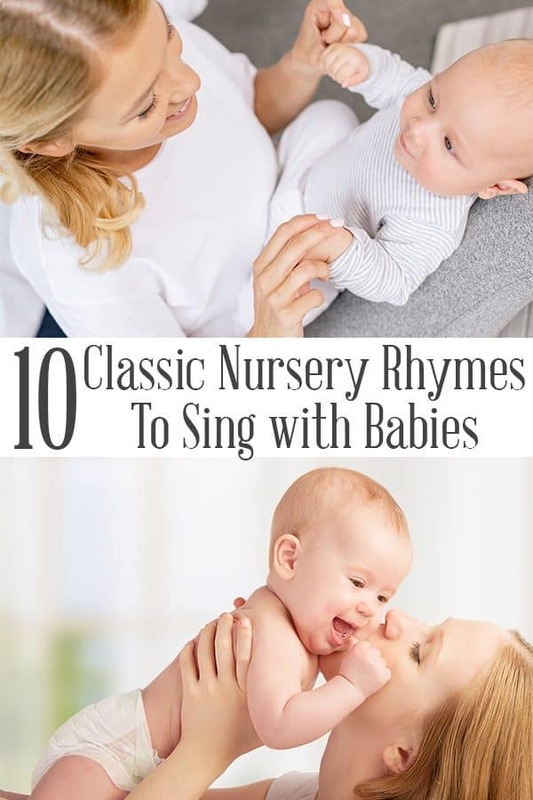 Sing some Classic Nursery Rhymes to your child and watch their eyes over this first month, you will soon catch on to their favourites and you can sing those more frequently as well as enjoy the smiles and giggles over the coming months from these fun songs. A fun activity that you can try with your child is to use a small baby rattle and lightly rattle it to get the baby’s attention. See if he or she will try to track the sound. Make your own DIY rattle to use with your baby or even sew up some “dancing bells” and use them as a rattle. Use simple puppets like our Monkey, Duck, Frog and Spacemen to “sing” and act with your baby. As their vision improves over this first month you will find that they are able to focus and watch the puppets and will love to hear your voice as you sing the fun rhymes to them as well. I remember when both my children were born I had no idea what to do with them really apart from plenty of cuddles, feeding and changing them. I sought out advice from my parents, friends and family on simple fun things to do with my newborn especially as I was on maternity leave. Over the next 12 months, your baby will change beyond recognition and we’re here to provide ideas for you all the way with a little information about what to expect each month in general terms as well as some suggestions of activities and fun things to do together. Every new milestone is an accomplishment and should be celebrated. Remember that every baby is different and will develop at their own pace. This first month take it slow; hold your baby, comfort him or her, smile, talk, feed, change nappies, and love.